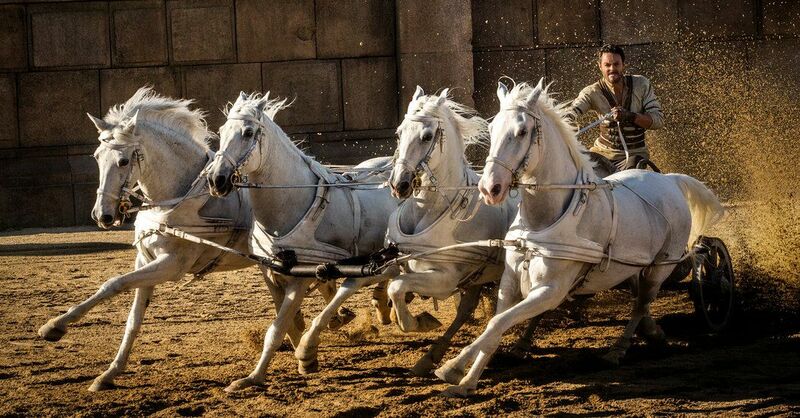 Costing $100 million and relegated to a mid-August release, Ben-Hur is another in a rash of summer movies that were doomed not by viewers or even critics, but by their own studios. It joins the likes of Ghostbusters ($144 million budget) and Legend of Tarzan ($180 million), movies that should have been just fine with the money they made, but cost way too much. Photos courtesy Paramount Pictures. Ben-Hur is a frustrating sit. It didn’t have to be, but the movie makes an infuriating habit of taking whatever interesting ideas it has and running them directly into the ground like an unconvincing CGI chariot. 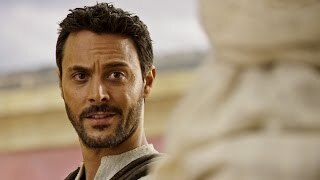 The movie follows Judah Ben-Hur (Jack Huston), a Jerusalem nobleman, and his adopted Roman brother, Messala Severus (Toby Kebbell). Haunted by his low state and taunted by his grandfather’s role in betraying Caesar, Severus joins the legion and, three years later, returns as a hero to quell a city that has grown restless under Roman rule. When one of the Jewish radicals makes an attempt on Pontius Pilate (Pilou Asbæk), Severus is forced to scapegoat his adoptive family. The women are executed and Ben-Hur is sent to die as a galley slave. Five years after that, he escapes, and seeks vengeance on Severus the only way he can — the chariot races. At first, the film seems to be making a genuine effort to update the story and make a true, big-budget epic that belongs in 2016. The characters are written to be far more nuanced than the black and white archetypes of the 1959 version. The initial betrayal that seals Ben-Hur’s fate is played as a misunderstanding brought on by the paranoia and turmoil of living in occupied Jerusalem. Jesus (Rodrigo Santoro) plays a more prominent role in the story, and his crucifixion is used as a moral counterpoint to the imperialism and decadence of Rome. The ending is completely different, which is a ballsy and rare move for a remake. But then, every single interesting idea or compelling character it has going for it veers straight into unforgivably corny cliche territory within moments of being introduced. Ben-Hur is a raging storm of tropes, one-liners, bad acting and plotholes. These are all things any moviegoer can usually dismiss with “Oh, it’s just a movie.” Except it never lets up. This is an entire movie made of “Oh, it’s just a movie” moments. MGM and Paramount initially courted Tom Hiddleston for the title role, but ended up with this sleeping pill of an actor instead. People probably would have gone to see that movie. The acting is so underwhelming that it feels like the whole movie is a vehicle for the action, which could have worked had the movie abandoned its ambitions of being meaningful and just committed to the cheese. Instead, it’s not clearly going for brainless action or a more serious, epic tone, and the result is an inconsistent, occasionally hilarious, mess. The film starts out with a flash-forward to the climactic chariot race scene, as if the movie was just a $100 million excuse to remake one sequence and it literally cannot wait to show it to you. Unfortunately, that scene, and the film’s other action sequences are deeply flawed. The action tries hard for a harsh, intense, realistic portrayal of violence, but fails because the conspicuous CGI deadens the harshness. Director Timur Bekmambetov relies heavily on shaky-cam and close-ups during the action, because everyone knows that equals gritty and raw, but if that’s the case, it’s still not clear why the same tricks were used in placid, quiet dialogue scenes. Constantly cutting to CGI-heavy point-of-view shots is supposed to make the scenes feel more real, but the videogame-y result does just the opposite. Falling back on these tricks does nothing but remind the viewer of better films they could be watching and better games they could be playing. When cliches aren’t fully embraced, and are instead used as a crutch they feel like this film: Soulless, functional and obligatory. This entry was posted in Entropy, Uncategorized and tagged #ghostbusters, #morgan freeman, #toby kebbell, #tom hiddleston, Ben-Hur, Ben-Hur cost way too much money, Ben-Hur is a disaster, Ben-Hur's chariot race is awful, Chariot races, Charlton Heston, Jack Huston, Jesus Christ, Legend of Tarzan, The Bible, Timur Bekmambetov, Why did they remake Ben-Hur. Bookmark the permalink.